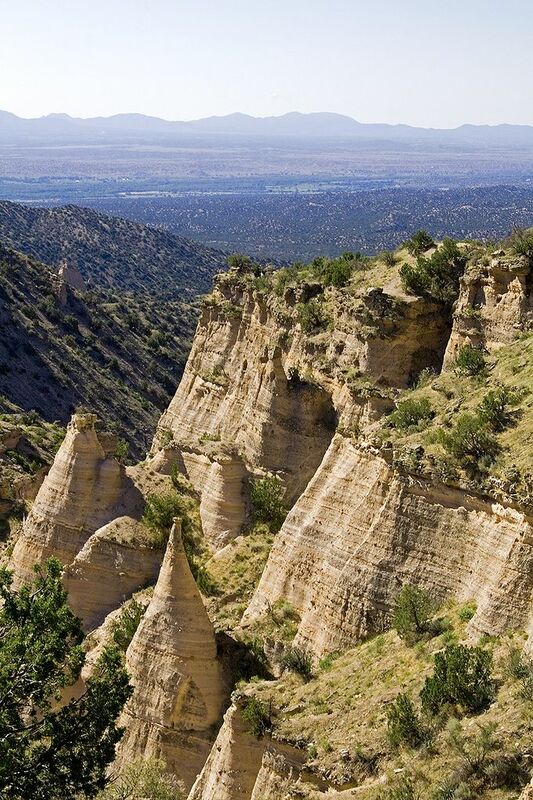 Kasha-Katuwe Tent Rocks National Monument, located 40 miles southwest of Santa Fe, New Mexico (near Cochiti), is a Bureau of Land Management (BLM) managed site that was established as a U.S. National Monument by President Bill Clinton in January 2001 shortly before leaving office. Kasha-Katuwe means "white cliffs" in the Pueblo language Keresan. The area owes its remarkable geology to layers of volcanic rock and ash deposited by Pyroclastic flow from a volcanic explosion within the Jemez Volcanic Field that occurred 6 to 7 million years ago. Over time, weathering and erosion of these layers has created canyons and tent rocks. The tent rocks themselves are cones of soft pumice and tuff beneath harder caprocks, and vary in height from a few feet to 90 feet. The monument is open for day use only and may be closed by order of the Cochiti Pueblo Tribal Governor. 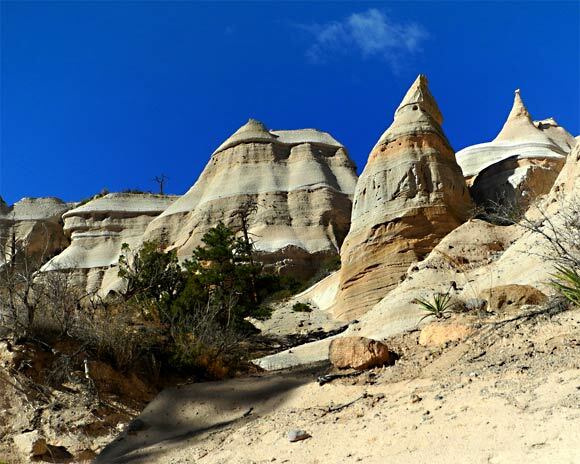 A 1.2 mile (1.9 km) recreation trail leads up through a slot canyon to a lookout point where the tent rocks may be viewed from above. A 1.3 mile (2 km) loop trail leads past their base. The park is located on the Pajarito Plateau between 5700 and 6400 feet (1737–1951 m) above sea level. The monument is closed to dogs.